I am a motherless daughter. I lost my mother to breast cancer back in the 1960’s. Her loss is engraved on my heart forever. 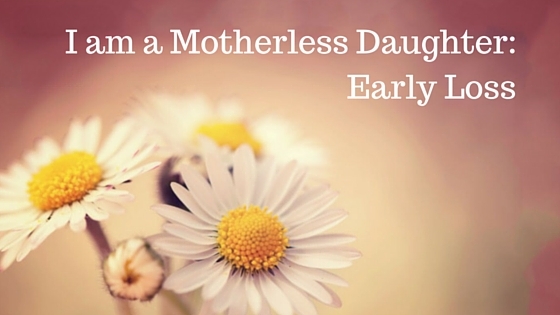 Connecting with the recent blog on “Who is a Motherless Daughter?” I would be considered an early loss. At 15, I had just entered the tumultuous adolescent world. I went from being 15 to being an adult in a flash. Mom had surgery in May and was gone in August. I can still remember taking care of her at home as she rapidly declined during this time. A 15 year old as a caretaker? That’s right. I fed her, bathed her, and cared for her. My brother, 2 years older than me, often had to lift her out of bed and tie her into a chair. She gradually became unresponsive. As an adult, I would not have let 2 teenagers assume that total responsibility. Where were the other adults in my life? Off taking care of themselves. Then she was admitted to the hospital. No Hospice in those days, so this was the most humane way of allowing someone to depart this world. I stayed with her every night in the hospital, listening to her ever increasing gurgles and gasping breaths as the shadows of the night turned into light. I was only 15. Then one night, I fell asleep. I awoke as a nurse was gently touching me and telling me she was gone. I panicked. I wasn’t there for her. Surely if I had stayed awake she wouldn’t leave me. How could God let this happen? I was wrought with emotions – anger at God and overwhelming grief. I was only 15 and yet I was now an adult. I became a strong survivor. I made it. As the saying goes “fake it till you make it.” I put my grief aside and went on as normal as I could. I went back to a high school class reunion one time and one of my classmates was oohing and awing saying she wished she had had my life. She never knew that I had lost my mother when I was a sophomore and that my father was out of my life also. He was gone when I was 10. This tells you how good I was at faking it. I began my grief process 35 years after her death. In focusing on my own grief, I learned to help others. It wasn’t easy and still isn’t. It is a journey. There is no destination. You never get “there.” Grief just shows up throughout your life. Today, I look back at the memory of my mom. She is still the same age. She still has the same smile. She still has the same sense of humor. Only she is not here but she is engraved on my heart. 20 years after loosing my mom I’m just now looking out another 10 years and realizing that I will soon be her age when she left me. My life is so disheveled and I always looked at her like she knew everything. I was an only child and I still feel utterly alone without her. I just found this site tonight. I thank God that I did.